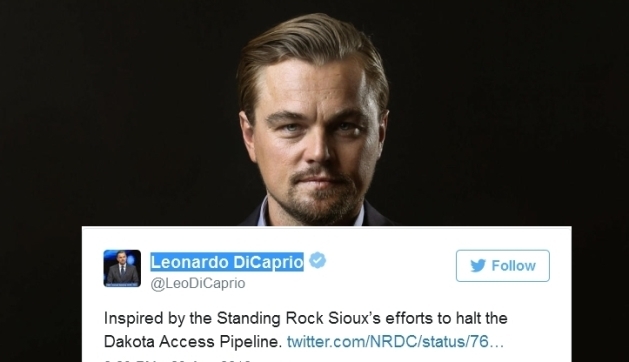 From movie stars to prominent politicians, celebrities are adding their voices and presence to the fight against the Dakota Access oil pipeline, and the number is growing. The actor and directing superstar Leonardo DiCaprio has long been an advocate against climate change and highlighted Indigenous People's contributions to environmental awareness. 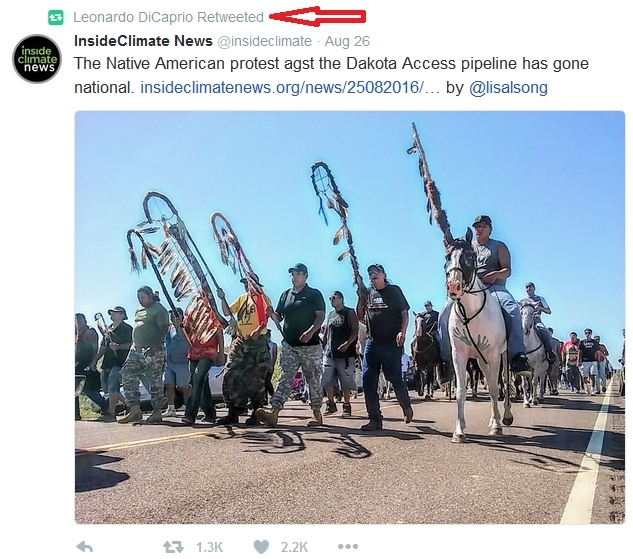 He walked shoulder-to-shoulder with indigenous activists during the 2014 People's Climate March in New York City and gave First Nations a shoutout during his Oscar acceptance speech for The Revenant. 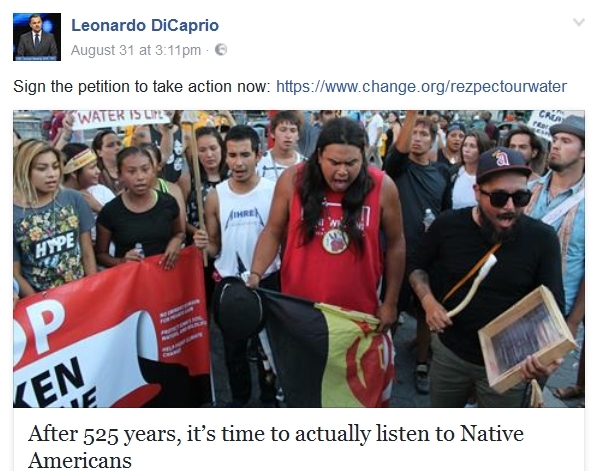 DiCaprio came out early in support of the fight against the pipeline and of late has reiterated that support with a post on Facebook. “Stand with the Standing Rock Sioux in their opposition of the Dakota Access Pipeline which threatens our climate,” he wrote, linking to an article on the topic. 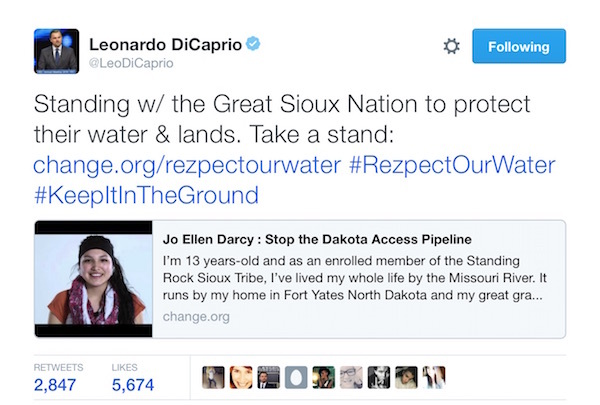 In a recent tweet DiCaprio wrote "Inspired by the Standing Rock Sioux’s efforts to halt the Dakota Access Pipeline." 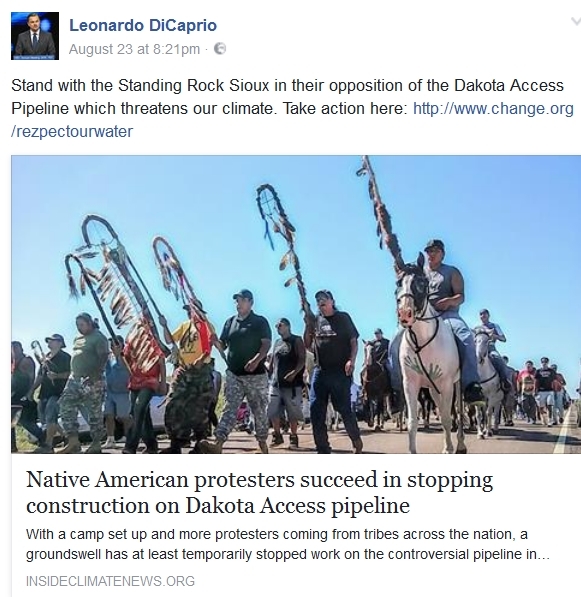 Responses to "Actor Leonardo DiCaprio Continues to Support Standing Rock Sioux Tribe"